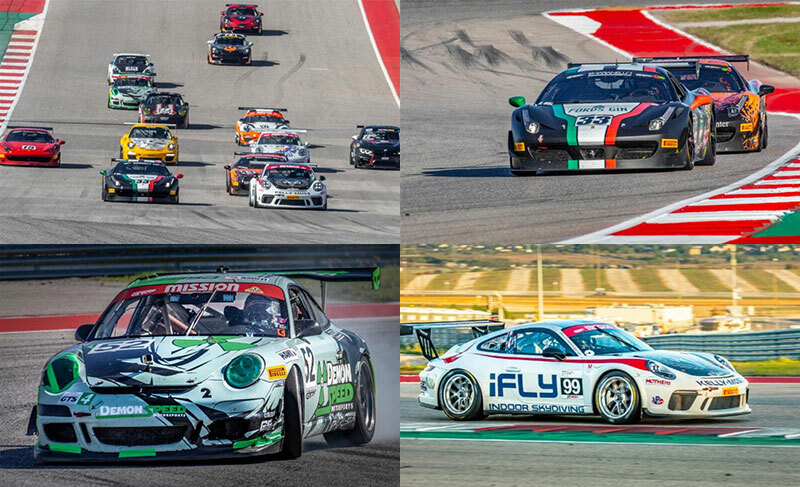 The final round of the 2018 International GT Championship headed to Austin, TX to the beautiful Circuit of the Americas with a full grid of Porsches and Ferraris. The Maranello Cup Championship was won by STEVE HILL, part of the Norwood Auto Italia group, while the Mission Foods GT3 Cup Trophy Championship went to ED BAUS from Demon Speed in his Porsche 3.6 liter. 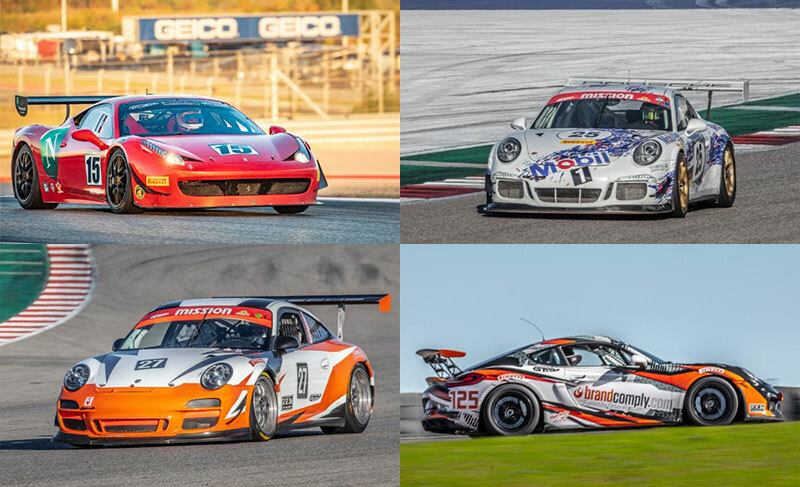 The racing all weekend was thrilling, with a battle at the front between HILL (with co-driver JASON HART) and newcomer, ALAN METNI racing a 4 liter GT3 Cup car prepped by Kelly-Moss Motorsports, with constant pressure from BARRY FROMBERG and MARK SANDRIDGE. Although FROMBERG was feeling under the weather all weekend, he qualified on the front row for Sprint race 2 ahead of Norwood teammate HILL. BAUS (with enduro co-driver SCOTT BERKOWITZ) earned every point of his Mission Foods GT3 Cup Trophy Championship having spirited battles with series newcomers BARRY and DARREL BELL from Quirt Racing. COLIN COHEN matched his best finish of the season, taking runner up honors in Sunday’s Maranello Cup enduro. Another first-time entrant, DENIS BOULLE, driving a 3.8 liter in the Mission Foods GT3 Cup Trophy category with his son, NICK were very strong in the enduro as well, finishing second to SANDRIDGE, who recovered from a car fire at VIR thanks to his Team Salad/Varde crew. Rounding out the podium in the 3.8 class was ROBERT WISEN, supported by Goldcrest Motorsports, finishing third in the enduro and second in both sprint races. A fifth newcomer to IGT was DENNIS MOSER, from Quirt Racing in the Stuttgart Cup category. MOSER driving a Cayman 3.4 and series regular, MIKE DUNN, in his Cayman Club Sport, prepped by Goldcrest Motorsports, had some lively competition and finished on the podium. 2018 concluded at COTA as it started at Sebring with great racing throughout the field and camaraderie in the paddock. Race seven was a memorable trip to the Lone Star state and a terrific ending to the very successful 2018 season. Cheers to our favorite Texas team, Norwood Auto Italia. 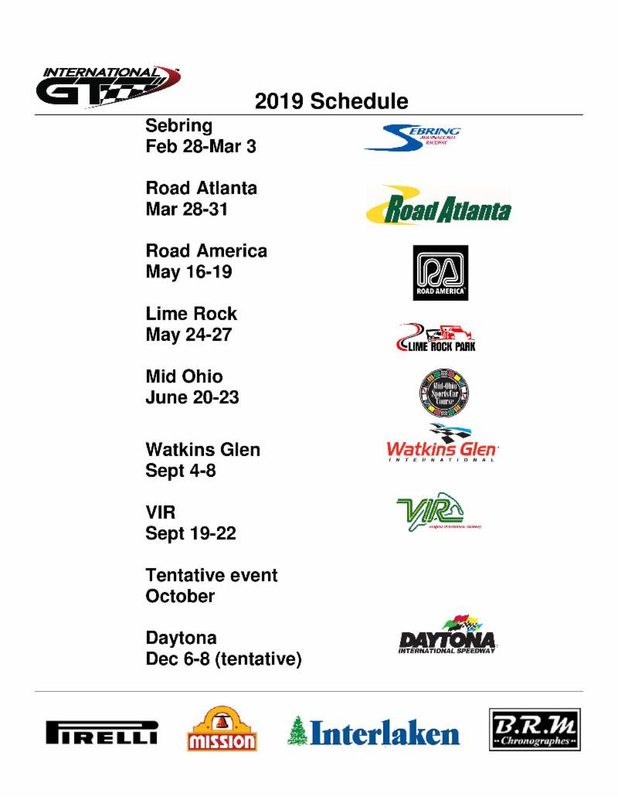 An amazing group who supports International GT in so many ways. Texas BIG THANKS! F1 series partner BRM is offering an exclusive watch to International GT participants: Model V644SAMR01, automatic, stainless steel case, screw down crown, 6 shock absorbers (3 vertical and 3 horizontal), limited edition 100 pieces, warranty 5 years. 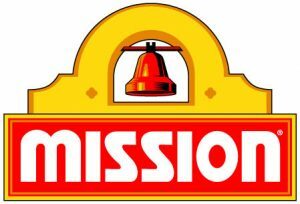 This Sunday is Veterans Day. 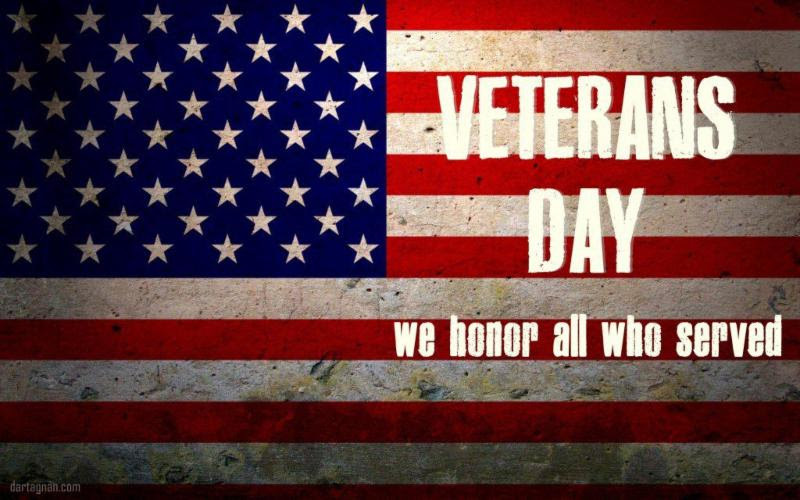 Please thank an active military personnel or veteran for their service. Our freedom depends on those who serve.